Dr. Duensing did his undergraduate education as a chemistry major at Augustana College in Rock Island, Illinois. He then received his Doctor of Chiropractic degree from Palmer College of Chiropractic in Davenport, Iowa in March of 1982. He has been in practice in the Goodlettsville/Rivergate area for over 30 years and has performed over 240,000 chiropractic and nutritional treatments. 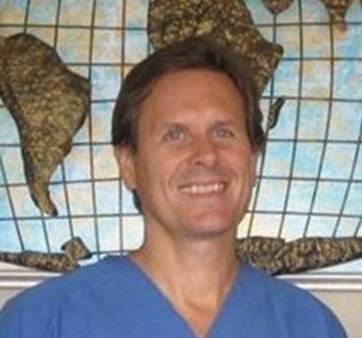 Dr. Duensing also has over 1300 hours of additional training and certification in Applied Kinesiology and Nutrition from the International College of Applied Kinesiology and Logan College of Chiropractic. This additional training has allowed him to treat not just the typical complaints that bring a patient into a chiropractic office such as headaches, neck pain, low back pain, slipped disc and numbness or shooting pains. He has also given nutritional and dietary support for such varied conditions as allergies, weakened immune systems, inflammatory conditions such as rheumatoid or osteoarthritis, migraine headaches, digestive disturbances and etc. Although a doctor can never promise a cure, he has had many successes with these conditions over the years. He has been married for over 16 years to the lovely and talented Janet Ivey Duensing of Janet's Planet and Tennessee Wild Side fame. These shows air on public television stations across the country. He has three grown sons: Andy, Josh and Zach and three daughters-in-law, Amanda, Nisi and Sara. He is proud to say they are all college graduates. The joys of his life are his grandchildren Miette, Oona, Duncan and Felix. As for hobbies, Dr. Duensing weekly plays soccer in two different leagues along with distance cycling, motorcycle riding and boating with his wife and family. He enjoys playing the guitar but is glad he doesn't have to make a living at it. Dr. Duensing believes that the power that made the body can heal the body if given the right support. A patient may not know the scientific words to describe their condition, however, if a doctor listens closely enough, they will tell him what he needs to know to support their healing. Ultimately, the Innate Intelligence of the body knows what is wrong with itself. It is our job as healers to get to these root causes for true and complete healing.